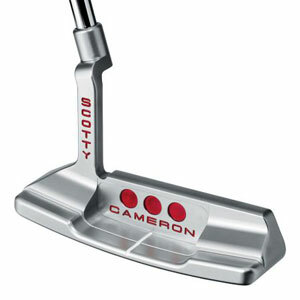 Scotty Cameron Putters Are Used By The Best. Scotty Cameron is world renowned for innovative design, performance and unparalleled craftsmanship when it comes to putters. wedges. The reply never changes, " I am a putter maker. That's what I am, that's what I do." This intense focus is what separates the Cameron by Titleist putter from the rest. It all began back in 1991 when he began hand making putters in his garage. In 1993 he won his first major at Augusta and became apart of the Titlest team in 1995. Soon after he became the preeminent putter maker on tour. By the 1996 season Titleist won it's first putter count on the PGA Tour in over two decades. In order to protect the integrity of the Scotty brand Titleist has created an authentication service. Every putter that finds it's way into the hands of a happy customer comes with with a certificate stating all of the putters specifications. If you are looking to purchase a previously owned model the authentication service provides the facts about the putter. This is the best way to know if the club has been modified or is a potential counterfeit.